Consider the intriguing course offerings from one of these seven colleges if you’re heartbroken that Hogwarts classes aren’t real. Hogwarts was founded in 993 AD. There’s no denying that Hogwarts is pretty, well, magical: Mysterious characters roam its beautiful grounds, and students get to take super interesting classes (no Psych 101, here!). Sure, Hogwarts classes don’t exist in real life, but that doesn’t mean you can’t find the next best thing. These seven colleges offer classes that are strikingly similar to those offered at Hogwarts, and best of all, muggles are allowed to enroll. 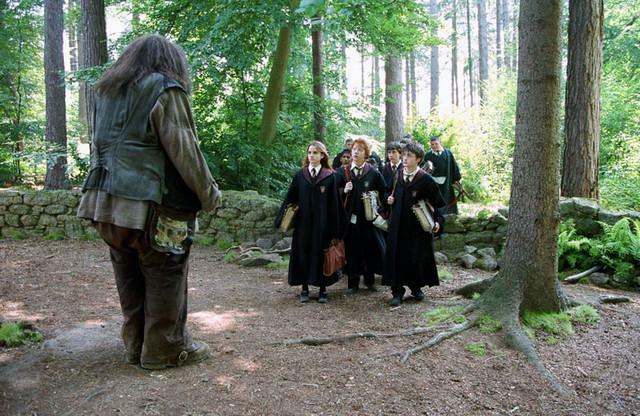 These seven colleges offer classes that are strikingly similar to those offered at Hogwarts. Princeton University is known for its excellent program in history; it was named the best in the country by U.S. News and World Report. It also reminds us of the Hogwarts History of Magic course, which requires students to memorize important names, dates and historical events. We’re betting Princeton students and Hogwarts students have the same vindictive feelings towards flashcards. Severus Snape served as potions master for 15 years! The University of Georgia has one of the most popular programs in Latin Language and Literature, and the courses involved remind us of a Hogwarts class called Study of Ancient Runes. Both courses require students to learn ancient letters in order to read ancient texts. At Hogwarts, students take a class called Care of Magical Creatures, where they learn how to feed, breed and take care of magical creatures. Michigan State University’s program in zoology is practically identical, except the animals that students care for can’t perform magic (as far as we know, that is). Though we imagine caring for animals like lions might be a little dangerous, it's nothing compared to being mauled by a Hippogriff. The University of Michigan has gained attention in the past for offering classes about witchcraft, including a recent offering called Witchcraft and Spiritual Insecurity in Africa. The course explores Africa’s many efforts to oppose evil forces, which is exactly what Hogwarts’ Defense Against the Dark Arts teaches students how to do. After Tom Riddle was denied the post of Defense Against the Dark Arts professor, he jinxed the position so that no one could hold the job for more than one year. Our guess is that instructors at the University of Michigan don't have that problem. Now that you know which Hogwarts-like classes to take, keep your eye out for any Harry, Ron or Hermione look-alikes so that you can make some Hogwarts-like college friends, too.